Identify your current and future internal stars because the answer to your needs could be right under your nose. When you identify employees within your organization who may be good candidates for leadership positions or for cross training, you will save money and time. 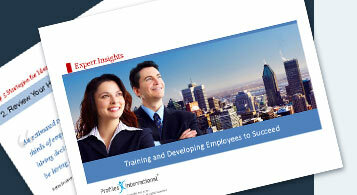 Learn how to identify internal talent. Promoting from within is usually less expensive and a lot less risky than hiring from the outside. According to University of Michigan professor Dave Ulrich, external hires cost about 20% to 30% more than internal hires. External hires for management positions also present a greater risk of failure in the new role than internal promotions. The higher the organizational level of the position that is filled from the outside, the greater the risk of failure. The new hire doesn’t fit the organization’s culture. The new hire lacks the relationships and internal networks to get things done. The new hire doesn’t fit the job he or she has been hired to do. Internal hiring reduces these risks, and promotions from within are more likely to succeed than external hires. So, before committing to hiring outside superstars, organizations should use their performance management processes to identify strong employees. Future potential is based on accumulated skills and experience as evidenced by past achievement, ability to learn new skills, and willingness to tackle larger and more complex assignments. Companies that conduct disciplined, meritocratic assessments of performance and potential are better prepared to make good personnel decisions. Selectively promoting from within sends a motivating message to others in the company: that by doing the right things and getting the right results, they can build prosperous careers in the organization. The PROFILE XT® is especially helpful when determining where an individual fits within your organization. Instead of assessing outside superstars, first evaluate the results of those already employed. The PROFILE XT® measures how well an individual fits specific jobs in your organization and enables you to evaluate an individual relative to the attributes needed to perform successfully in a specific job.